European redwood (often called Scots pine or deal) is one of the cheapest and easiest woods to buy. It is suitable for nearly all d-i-y jobs both inside and. with suitable preserv­ative treatment, outside. It can, however, be fairly knotty. Spruce, which is lighter in colour than redwood and some­times called whitowood or white deal, is occasionally offered instead of redwood, particularly in Scotland. Douglas fir, parana pine and western hemlock come from much bigger trees than redwood and these woods are often available in large sizes and free from knots. Western red cedar, which contains natural preservative oils, is a good choice for use outside but it is expensive and may not take varnishes well to keep its natural appearance it needs treating with a cedar preservative. The properties and appearance of hardwoods vary much more than softwoods. They are more difficult to buy but for many jobs are well worth considering. Douglas fir British Columbian pine, Columbian pine, Oregon pine. Grows mainly on the west coast of North America, particularly British Col­umbia. The sapwood forms a narrow band around the tree and is lighter in colour than the heartwood which is gen­erally a light reddish brown. The timber has distinctive figuring when plain sawn and, because the tree is so large, it is possible to produce individual planks half a metre square by 30m in length. Douglas fir is stronger and more durable outside than redwood. It has an even texture which makes it fairly easy to work, but to get the best results tools need to be regularly sharpened. 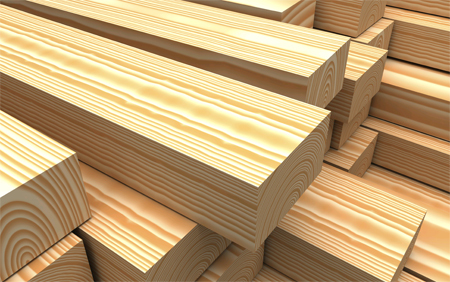 Care should be taken when joining timber as it is very straight grained and liable to split. The timber can be glued, nailed or screwed and finished satisfactorily with stain and polish. 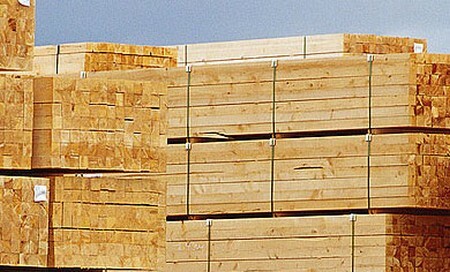 The timber has a great variety of uses and can be used in structural house work, flooring, furniture and window frames. Commercially it is used for things like telegraph poles and ship masts. Bought timber is often free from knots and other defects and it is one of the best softwoods available. Grows in South America, mainly Brazil. The timber is a creamy brown colour, often with reddish streaks. It is even textured with a straight grain and can often be obtained as wide boards free from knots. When buying this timber select the straightest boards and use it immediately to avoid twisting. If this is not possible, it should be stored flat and weighted evenly until it is needed. Parana pine is an easy timber to work and a smooth finish can be produced. It glues, stains, polishesand paints well. It takes screws well but care is needed when nailing, especially at bowed edges, if splitting is to be avoided. It is not naturally durable and should not be used outdoors and should be kept away from direct sunlight. The timber can be used for interior joinery and worktops. Commercially it is used as a plywood veneer. Redwood Scots pine, European red wood, red deal, yellow deal Grows in many parts of Europe and northern Asia. Wood grown in Great Britain is known as Scots pine but the majority, which is imported from the USSR and Scandinavia, is known as redwood. 1 he colour of the sapwood varies from creamy-white to yellow; the heartwood from honey to deep reddish brown It is a strong resinous timber with clearly visible annual rings. The timber is fairly light and moder­ately hard (for its weight). It is generally easy to work, takes nails and screws well and can be glued, painted, stained and varnished satisfactorily, though the quality of finish and ease of working depend upon the amount of resin and knots present. The timber is occasionally stained by a fungus which produces blue-grey streaks in the wood. This fungus does not affect the strength of the wood but makes it less likely to take the paint well. The timber is not nat­urally durable and when used outdoors it should be treated with preservative. Redwood is the most widely available softwood and can be used for do-it-yourself work involving both joinery and construction. It is widely used in plywood and, by the building trade, for house building including flooring and window and door frames. Its colour darkens rapidly with exposure to light. Grows in many parts of Europe, includ­ing the British Isles, and in Canada and the USA The sapwood and heartwood are the same colour and vary from almost white to pale yellowish brown The timber has a straight grain and a fine texture. Its growth rings are not as pronounced as those of redwood. The timber has about the same exterior durability and strength as red­wood but it does not take preservatives well and this restricts it to interior use. Provided the timber is dry, it is as easy to work as redwood (although tools do need to be kept very sharp) and can be painted, stained and varnished satisfac­torily. It does not readily split and can be easily joined with nails, screws or glue. Its main advantages over redwood are its light colour (which does not darken on exposure to light) and its fine lustre. Spruce can be used for general join­ery, flooring, ceilings and furniture. It is also used as a veneer for plywood. Grows in Canada – mainly British Col­umbia and the USA. The timber is pale brown, has a distinctive grain pattern (less prominent than Douglas fir) when plain sawn and a slight lustre. It has a straight grain, a fine and uniform texture and can be obtained as long, wide boards. The timber is about as strong as red­wood, it can beglued, screwed ornailed (when nailing near the ends of dried boards, holes should be pre-bored to prevent splitting) and painted, stained or varnished. It also polishes well It is not naturally durable and does not take preservatives well. Grows mainly in north-west North America, particularly Canada. The sap-wood forms a narrow band around the tree and is white in colour. The heart-wood is generally a deep reddish brown. The timber has a fairly coarse texture and a noticeable growth-ring figuring. The tree is the largest of the American cedars and can be converted into large boards virtually free from defects and with few knots. The timber is very easy to work along the grain and a silk-like finish can be obtained. However the wood is quite soft and the end grain tends to tear or crush unless extremely sharp tools are used. The timber is much lighter and less strong than redwood and tends to mark easily but it does contain an aro­matic oil which can keep it free from attack by insects and fungi and so makes it outstandingly durable out­doors. In time, the action of the weather turns untreated timber to a silver grey colour The timber is acidic and attacks unprotected ferrous metals – corroding the metal and staining the wood. Screws and nails used outdoors should either be of a corrosion-resistant metal, like brass, or covered with a protective coating. The timber is particularly useful out­side – for external cladding, sheds, greenhouses and fence posts, for example. It can withstand high temper­atures without warping or twisting and is therefore useful near radiators.